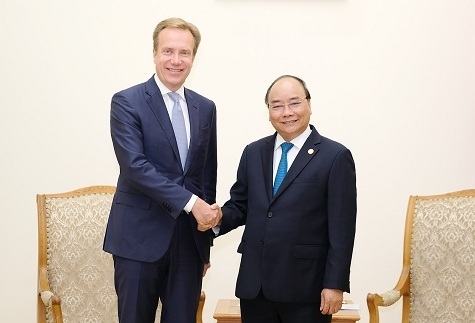 PM Nguyen Xuan Phuc on June 27 met President of the World Economic Forum (WEF) Borge Brende to discuss the organization of the World Economic Forum on ASEAN 2018 (WEF ASEAN 2018) in September this year. Welcoming the theme “ASEAN 4.0: Entrepreneurship and the Fourth Industrial Revolution” of the event, the PM proposed the WEF establish an agenda aligned with ASEAN’s theme for 2018, “Towards a Resilient and Innovative ASEAN Community”. 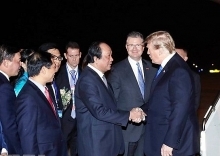 He suggested the WEF join hands with the Vietnamese side to facilitate the Vietnamese businesses to attend the meeting, thus expanding connections with the world’s leading corporations in the world and seizing new business initiatives, trends and models. 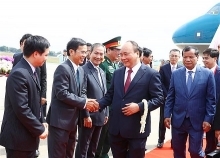 The Government leader expected the WEF President will create favorable conditions for Vietnam to advertise its image and roles as the host of the WEF ASEAN 2018. He highlighted the WEF’s consultancy for Vietnam to make preparations for the fourth industrial revolution. Mr. Borge Brende hailed the partnership relations between the WEF and Vietnam, adding that the WEF ASEAN this year has attracted huge interest from large nations and corporations, which has manifested the increasing role and attraction from Vietnam and ASEAN. The WEF has coordinated with the Vietnamese side to invite leaders from ASEAN and State and Government leaders from seven countries have confirmed to join the event, he said. He expressed his hope that Vietnam’s large corporations will further participate in the WEF, opening more investment and business opportunities. 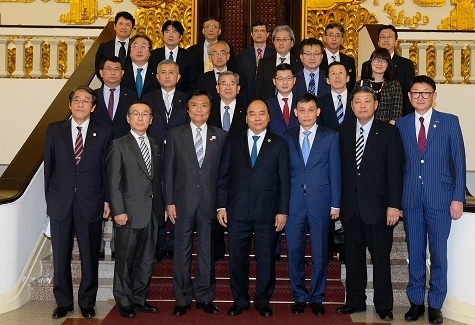 The same day, PM Nguyen Xuan Phuc met with Governor of Fukuoka Prefecture Hiroshi Ogawa. 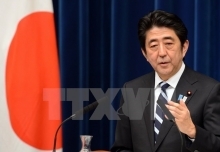 At the meeting, the PM expected that Fukuoka Prefecture will strengthen cooperation with Vietnam in advantageous areas for mutual interests, suggesting enhancing people-to-people exchanges, cooperation between Fukuoka Prefecture and Vietnamese localities and cooperation in culture and tourism. Mr. Hiroshi Ogawa said that his visit to Vietnam is aimed at celebrating the 10th anniversary of the establishment of friendship relations with the capital city of Hanoi. Besides cooperation in environment and exchanges between youth, Fukuoka Prefecture will promote cooperation in agriculture with Hanoi, he added, hoping that the Vietnamese PM and Government will continue supporting the two sides to boost cooperation and exchanges in the upcoming time.